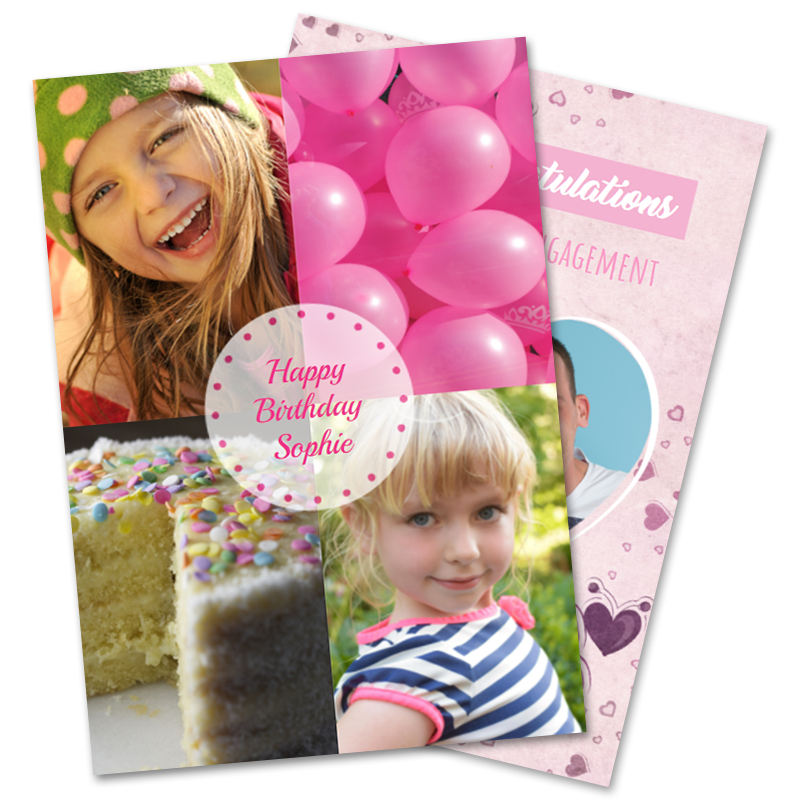 Here's the deal: Choose from over 2,000 card designs and personalise with your text and photos. If ordered with a gift, we'll include it in your parcel and ship direct to your recipient. 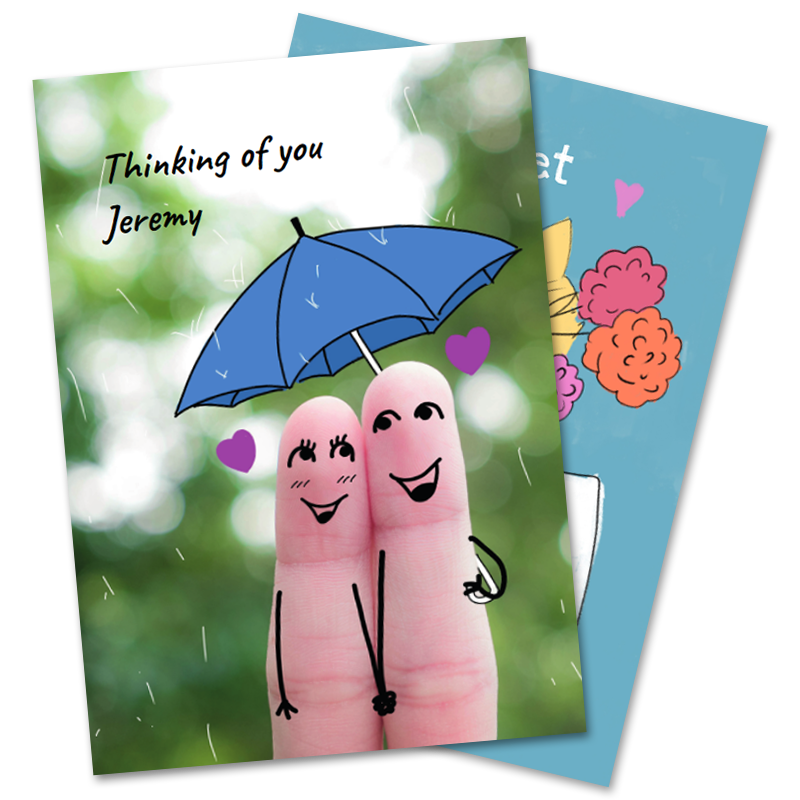 Your personalised glossy card measures a large 15cm x 21cm, includes an envelope, and costs only €3.99. 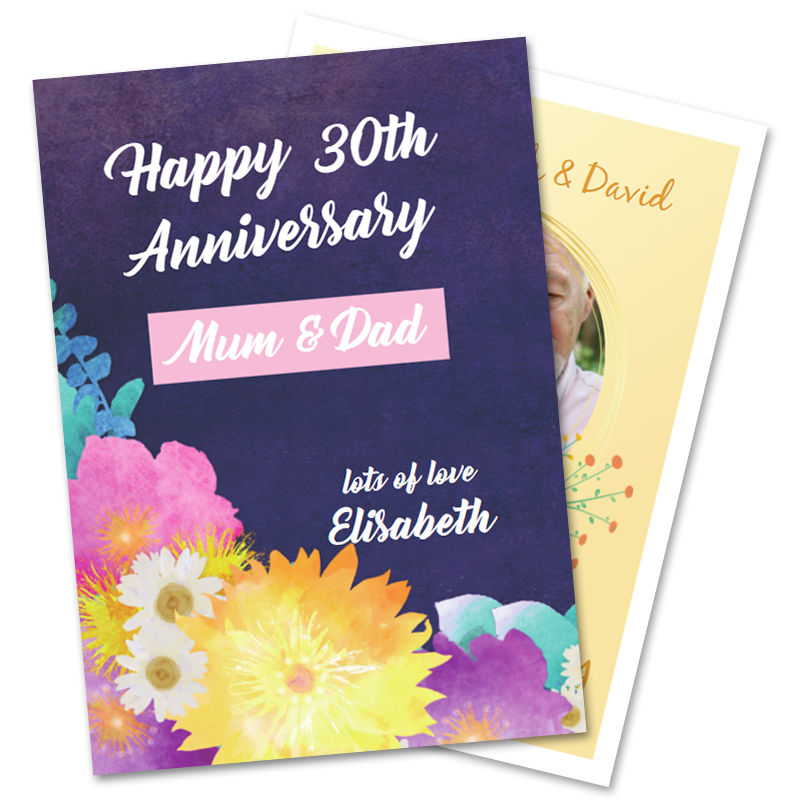 Designed & professionally printed from our warehouse on paper manufactured from trees grown in sustainable forests. 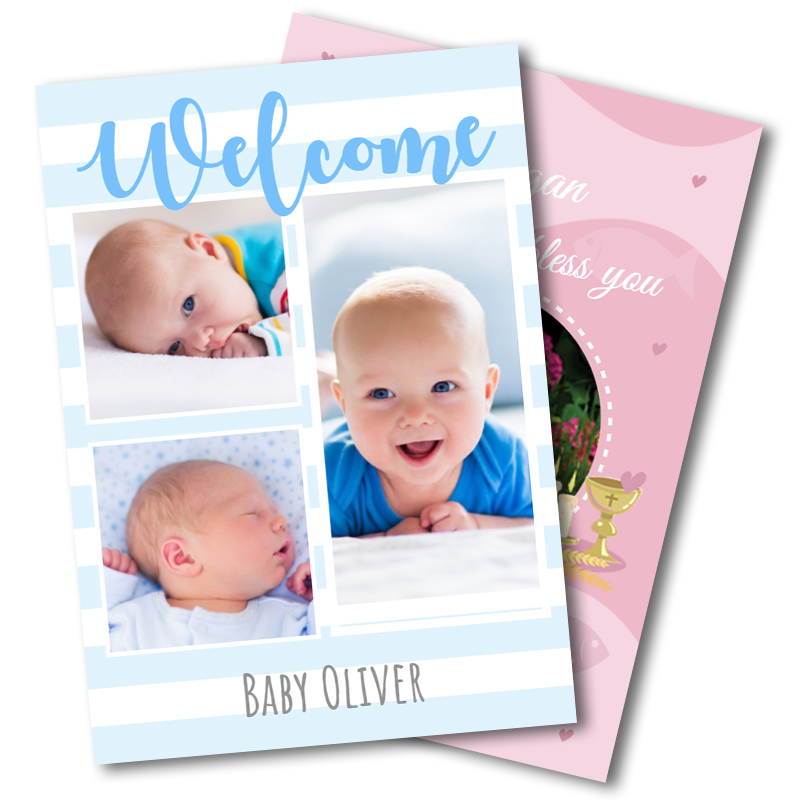 Should you choose not to purchase a Personalised Greeting Card, you can still add a small greeting message during checkout for free to accompany your gift. 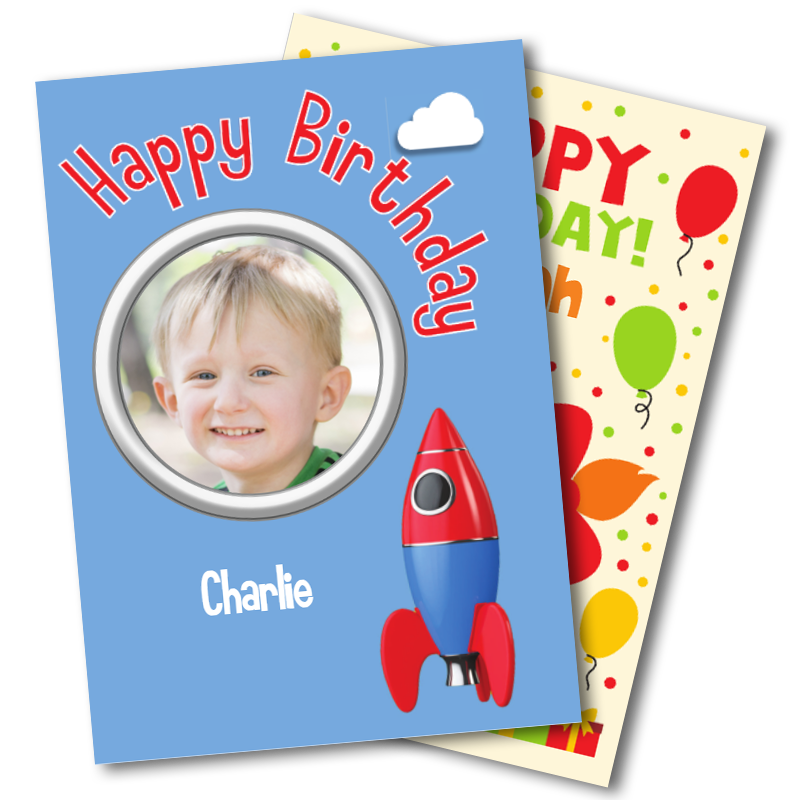 If buying a personalised greeting card on it's own, postage & envelope is only 1 Euro to anywhere in the World! 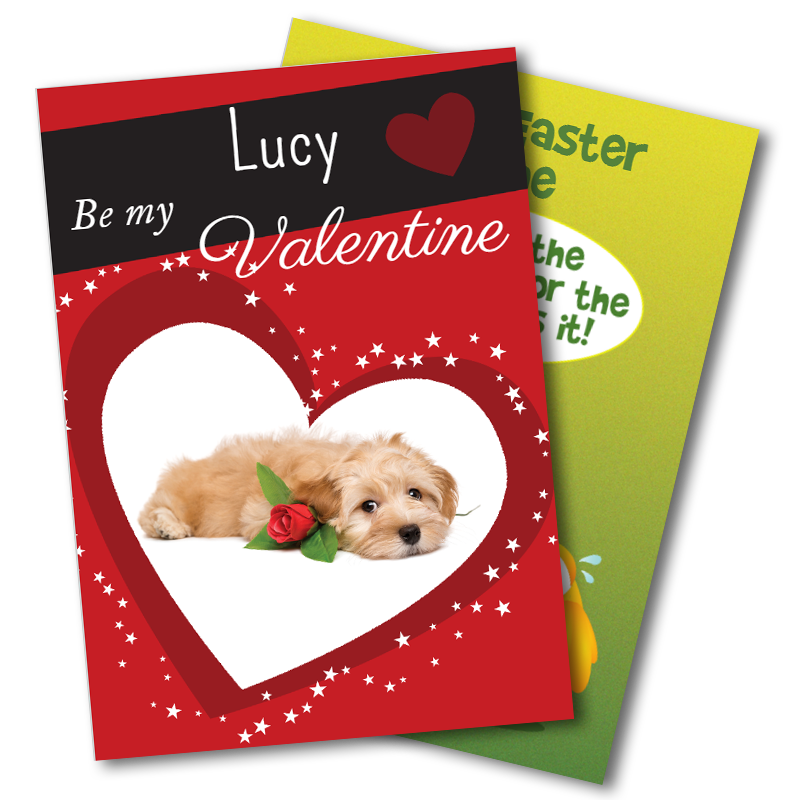 We post that same day if ordered before 4pm Irish time (Mon-Fri).